For an online entrepreneurship or business, operating on multiple social media accounts is a common thing. To be on the top of the game, interacting with customers through social media accounts is essential. But many businesses do not know the proper way to utilize social media networking to its full potential. Using social media network, businesses now have an ability to interact with the customers by open line of communication. By using the social media in a right way, customers can be given personalized responses and make them feel cared. In the conventional setup, businesses relied on publishing about products in magazines and newspapers. This way of interaction is not an efficient way to market products today as for some reason, most users find internet reliable. If you want do more than just post self advertised status updates and product centric tweets, then follow the below five ways to be successful in social media marketing. All the social media accounts can be linked together. So if you are posting an update on any one of the accounts, it gets published across all others. The social media platforms such as Facebook, Twitter, Tumblr and Instagram allow easy sharing through ‘One’ button. 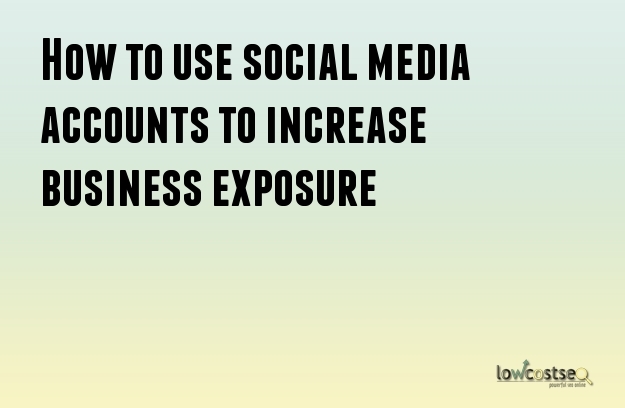 This ensures that all the social media accounts are evenly utilized in the business. It may seem funny to tweet in the Instagram account, but as all the accounts are now interconnected and internet users are able to see the updates they can find a way to follow you. Also adding online social media information and digital correspondence in the business cards expands your reach. Do not overdo it. It is good to post updates on a regular and steady basis. Constant posting will make your newsfeed look like a spam-feed and followers can easily desert you. Anything more than three posts a day is too much on social media accounts. Also, rather than simply posting product advertisements, make sure that all your posts have valuable information in them. Try to convey why users should buy a particular product instead of nagging them to buy one. Expose them to the valuable content that can explain why a product is better and how it can add value to their lifestyle. Make comparisons between products and show them which one is better. When they start to believe that you are really helping them, they will get ready to pull out money from the pockets. A successful social media is always social with the customers and followers. So answer the questions in a timely manner. Be elaborative in the responses do not stick to only one word responses. Be helpful and be polite when responding to the comments that are harsh and cynical. Your competitors aren’t going to sit ideal. They are always learning and finding ways to be ahead of the game. Consistent social media marketing is crucial for keeping the followers engaged and interested in the products. If you go away for a month, when you come back later you will notice that many followers have left the business and joined others. Keeping the social media accounts active and engaged is time consuming but is an essential part of social media marketing. If you are too busy with other activities of business, hire a virtual assistant who can do the job for you. Ultimately, your goal should be to keep the accounts alive.